So I have a very sweet blog reader named Brianna, a mom to the cute tiny munchkin for whose birthday I made this famous cake earlier on in the year (if you’re on facebook, check out this photo of him enjoying a slice — I love how seriously he’s taking it, for cake eating is serious business indeed! ;) ♥ ). So I spent a week experimenting with different pumpkin cakes. When she first asked about a recipe, I had one particular one in mind that I thought of re-working, but once in the kitchen I quickly got over-adventurous with ideas and made 3 completely different cakes in one go… and then had the difficult job of sampling them all out to pick out the best one because I really wanted it to be the best for the occasion (it was a tough job, but someone had to do it… ;) ). 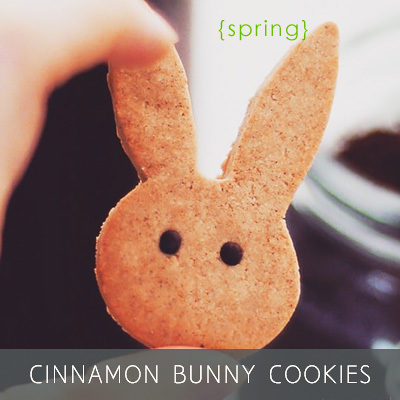 Result: pretty, delicious, but not quite there. I felt the texture needed more work, but also I wanted more drizzle, less cake, and more nuttiness. 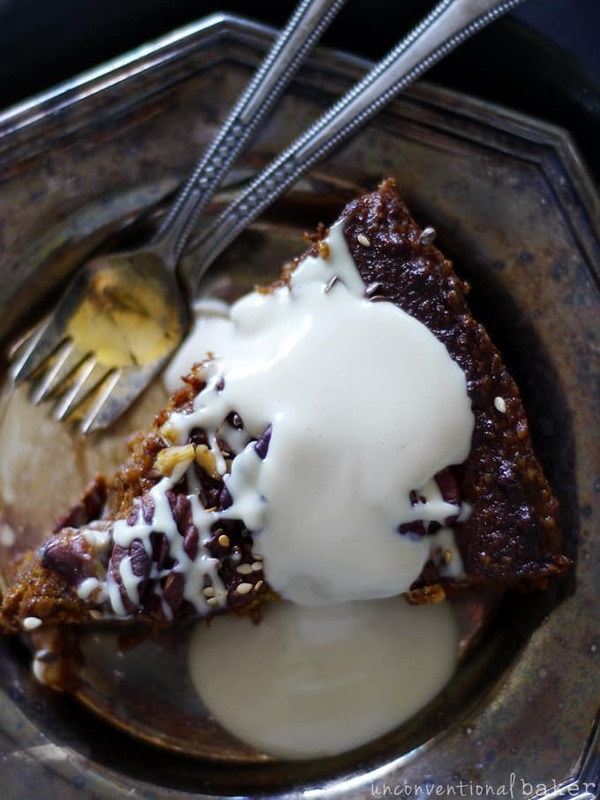 The few bits of pecans I threw in as an add-in made me want more… (Saving this one for a future re-make though, because it had potential and one can never have too many pumpkin cake options ;) ). Result: kind of gross to be honest. Surprised? So was I. Too much cloves = bleh! Also, I wanted to experiment with a “cream cheese” topping made with sunflower seeds instead of cashews (since that’s something I’m often asked about) — I have to say it turned out terrible. I actually laughed out loud when I tasted it (after spitting the frosting out) because I just couldn’t believe something could have tasted so odd… My taste testers (all but one) agreed. Inedible. So what’s a girl to do? I scraped off all that frosting and drizzled some delicious cashew-based cream cheese topping on instead, and the result? Pretty awesome… That frosting totally saved the cake (phew!). Made for some great breakfast bars too ;) (I’ll have to share the recipe to the base of this one some other time — needs a few tweaks, and I think you’ll love the next version better anyhow…). You like this third one? I thought you would :) This one was the real deal! 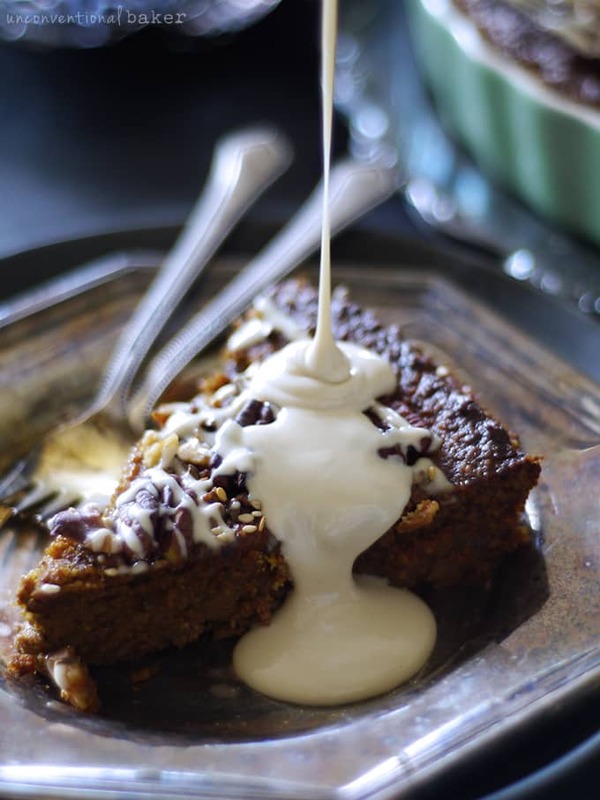 It’s an uber nutty flourless version and it totally did the trick! I knew this one was it the moment I tasted it. I loaded it up with walnuts, almonds, pecans — delicious! I topped it off with a bunch of pecan halves, walnut pieces, some sesame seeds, and some flax seeds prior to baking — really any similar combination of nuts and seeds would work. It add some extra crunch, flavor, and wholesomeness, and of course it helps to pretty things up naturally too. Sorry for the photobombing btw — just wanted to show you options because as you can see you can dress this cake up any-which-way. Ok, so at this stage I’d say the cake was really awesome, but then more ideas came to me and I decided to play around with the possibility of different nut flours, just to see what works best… I used walnuts as the main base flour in this on my first trial, and it made for an incredibly delicious cake, but I felt like pecans and pumpkin would be a nice pairing too — so I just went ahead and made a 4th version, this time with pecans as the main player. Big win. It was so good I had a hard time saving enough for my now pumpkin cake filled taste testing comittee :) (all of whom gave it a big thumbs up btw. And all of whom were sad the pumpkin cake taste testing came to an end too… I think they got a little spoiled with 4 cakes in one week!). The nut flour is not overpowering the pumpkin flavor, but pecans definitely complement it nicely. 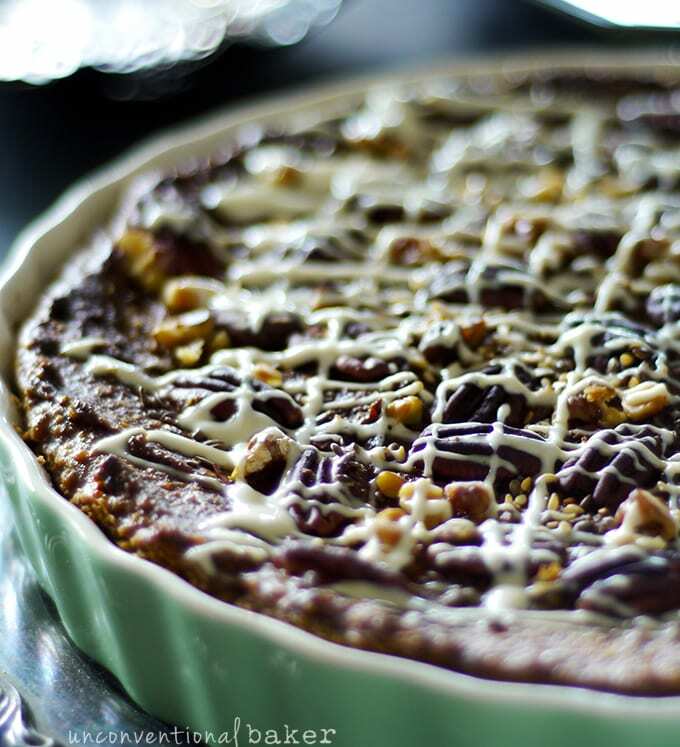 Now the one thing all the good cakes had in common was the delicious dairy-free “cream cheese” topping. I made multiple batches even after the cakes were gone — and if it wasn’t on something, I may or may not have been spotted just eating it with a spoon out of a jar… I’ve always loved a good cashew cream cheese frosting, but somehow this one turned out extra good — I think because of the saltiness factor perhaps? Anyhow, it was addictive! 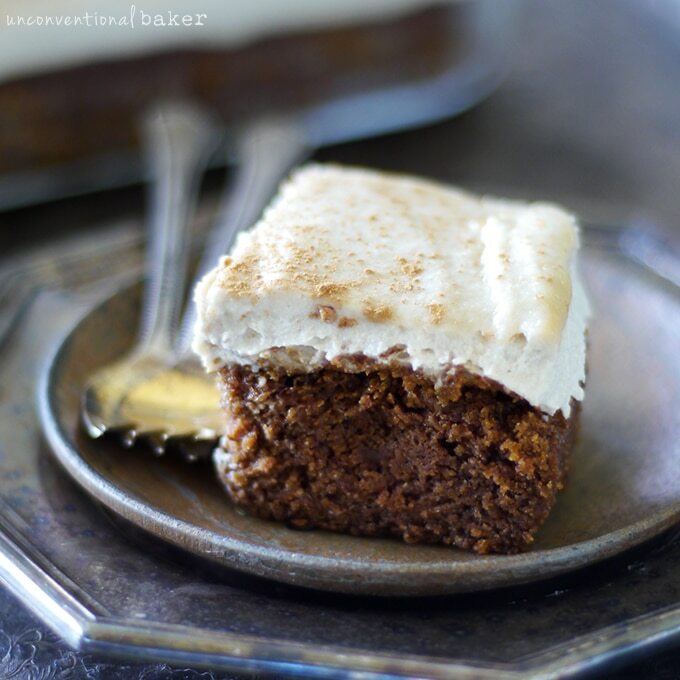 *Quick note for those with cashew allergies: as an alternative topping for this cake you can use something like the frosting from this carrot cake. 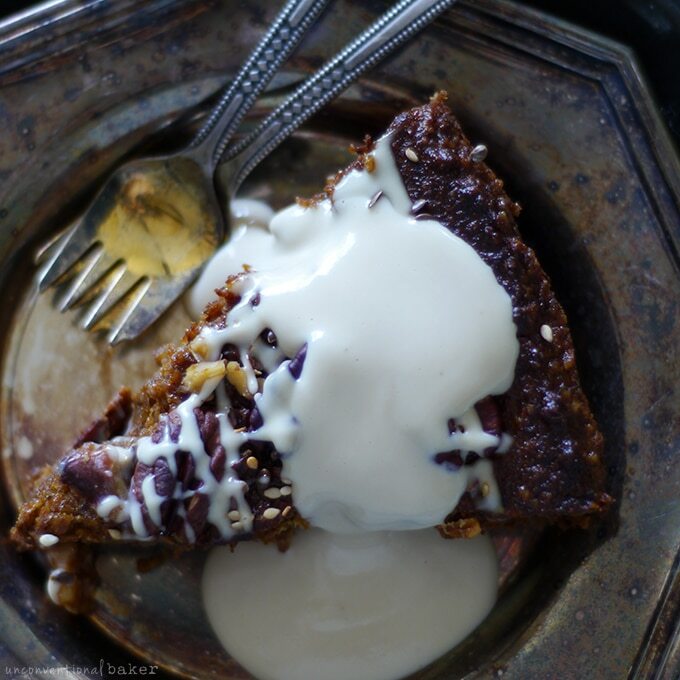 A Vegan Flourless Nutty Pumpkin Pecan Cake with a “Cream Cheese” Topping (Free from: gluten and grains, dairy, eggs, & refined sugar). Optional: extra nuts and seeds of your choice for garnish (I used more pecans, walnut pieces, flax and sesame seeds). Make sure all frosting ingredients are at room temperature prior to starting! Preheat oven to 350F. Oil a cake pan and set aside (I used a 10″ shallow pie/quiche plate, but any pan or oven-safe dish of a similar size would work). Place the pecans in a food processor and process into a flour consistency (the coarser it is, the more “textured” the cake will be. I ground mine pretty fine. Just make sure you don’t over-process the mixture into a nut butter :) ). Add in flax seeds, tapioca, spices, and salt, and pulse a few times to mix the dry ingredients through. Add in all remaining cake ingredients, except raisins, and process the mixture to combine into a batter. Add the raisins (and dates if using) in and pulse to mix and process them into the batter. Transfer the batter into the prepared pan and smooth it out into an even layer with a spatula. Top with extra toppings if using. *You’ll need to order 1 lbs pecans for the cake and a little bit extra for topping. 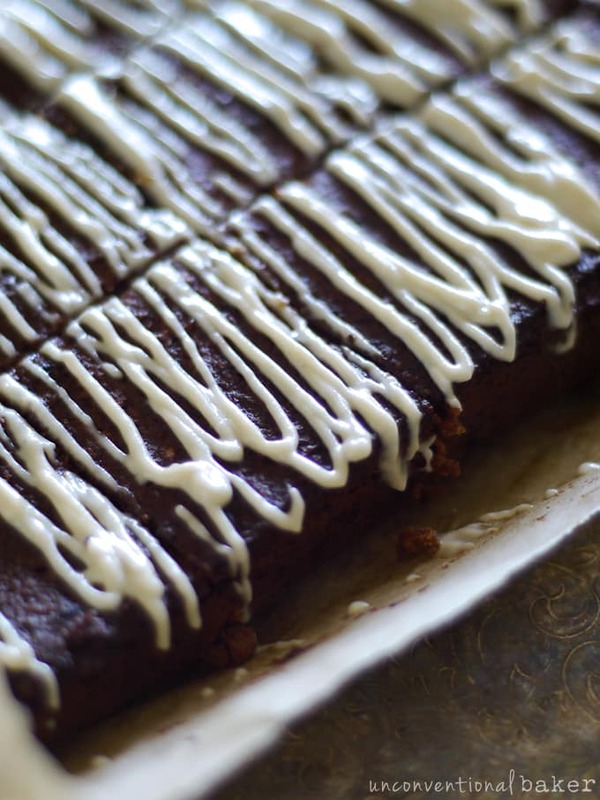 **For those with cashew allergies: as an alternative topping for this cake you can use the frosting from this carrot cake. ***I used unsweetened vanilla almond milk. ****If the cake is not fully cooled off when you frost, the frosting will change color as it warms up into a more yellowish hue. To avoid that, cool cake completely (even overnight). ******I used a frosting pen to make the fine drizzle on my cake — it’s a tool I find invaluable for quick and easy elegant drizzles. 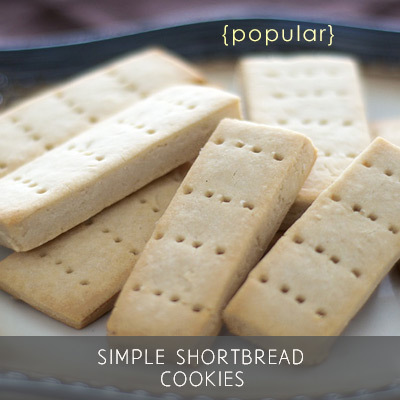 You can also use a pipping bag or just drizzle the frosting with a spoon if you prefer. Or you can just pour all the frosting straight onto the cake evenly and call it a day :) (use less non-dairy milk though to make it less runny if doing that). Disclaimer: this post contains affiliate links to the decorating pen and Vitamix blender used, as well as pecan halves, ground flax seeds, tapioca starch, cinnamon, allspice, nutmeg, cloves, salt, pumpkin puree, maple syrup, olive oil, pure vanilla extract, raisins, medjool dates, raw cashews, coconut oil, food processor. I so want to try this. Just wondering if this recipe would work without the raisins? I can’t do dates either. Another question–I take it you are calling it a “cream cheese” frosting because it looks like it? 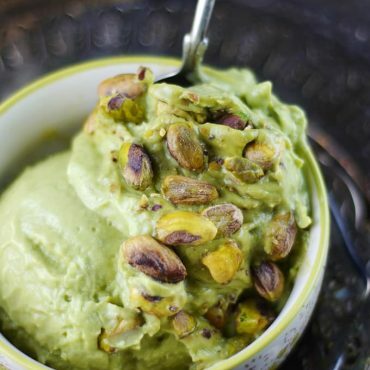 This looks amazing – since you noted it would work with other nuts (which I was guessing it would) do you know how many cups of almond flour it would be if I wanted to use that instead of grinding my own nuts? And, should it be a mix of almond meal & flour or just fine flour? TIA for any advice – and TY for ALL you share! Made this cake, my first recipe from this blog. 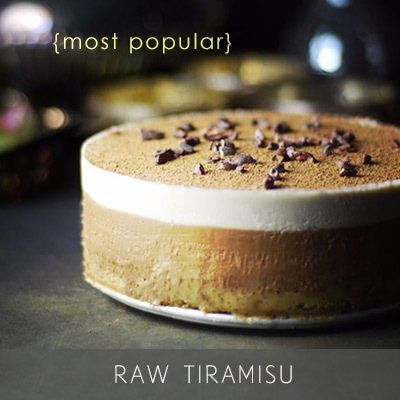 Can’t wait to try the tiramisu!! Thanks so much for the lovely feedback, Karen — so glad you enjoyed the cake! :) And with morning coffee is my favorite way to have it too. Hi Laura, arrowroot would be perfect. Cornstarch would work well too as an alternative. Enjoy! 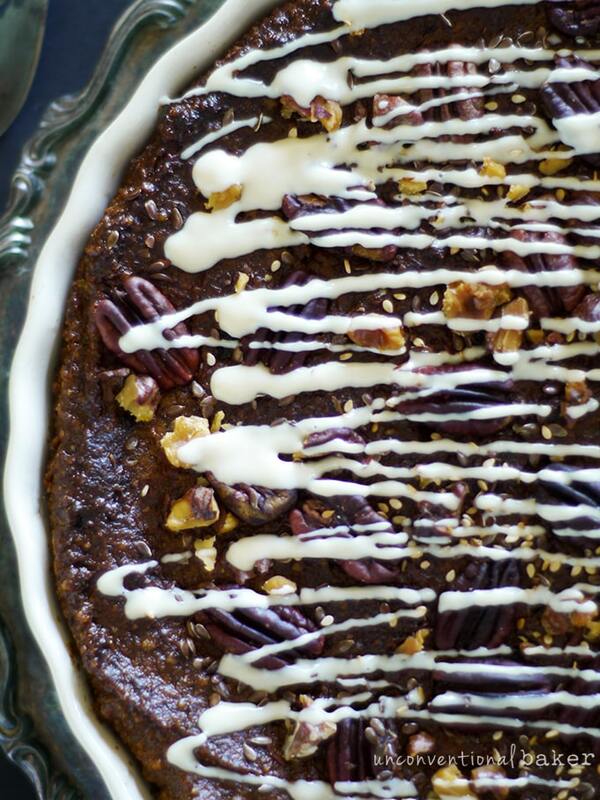 :) I’ll be publishing a recipe for a new maple pecan pie soon too if you’re not in too much of a hurry to wait. Hi there! I made this cake for Brianna for her surprise birthday party and it turned out great! I did feel like the frosting was too salty, so I made it again with just a pinch of salt and everyone loved it! She was really excited about the cake and it went over so well. Thanks for the recipe! Julie, thank you so much! I saw the beautiful cake you made for Brianna on fb — so sweet of you to make it for her! And thank you for the feedback on the salt. I’m a big sweet and salty fan, but it’s good to get outside perspective — I’ll adjust the recipe to say “salt to taste” based on your feedback! Thank you so much for the lovely feedback Kassandra! I’m so happy you liked the cake. Made my day :) We loved it so much as well over here after going through all these different cake trials. Can I be a cake taste tester? Where do I sign up? Lol. This looks amazing and I love all the flavors! The frosting is totally drool worthy too. Hehe. You might have to battle that one out with the existing taste testers ;) Thank you! I am so in AWE right now! This cake looks absolutely epic! And I am so happy to see a pumpkin recipe as well :) I”m so ready to start baking/cooking with pumpkin in my kitchen!! Oh, I know, Anne. Can’t wait either! omg…just wow! 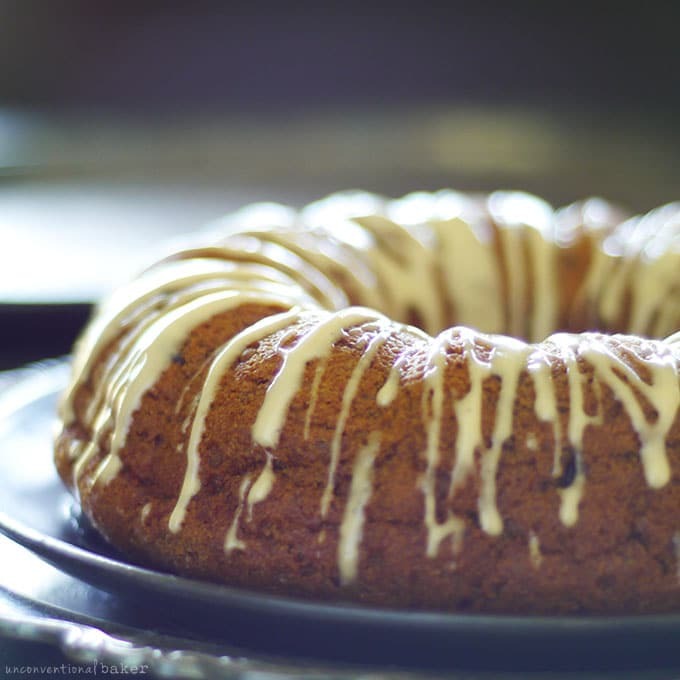 This cake just really gets me in the mood for fall. 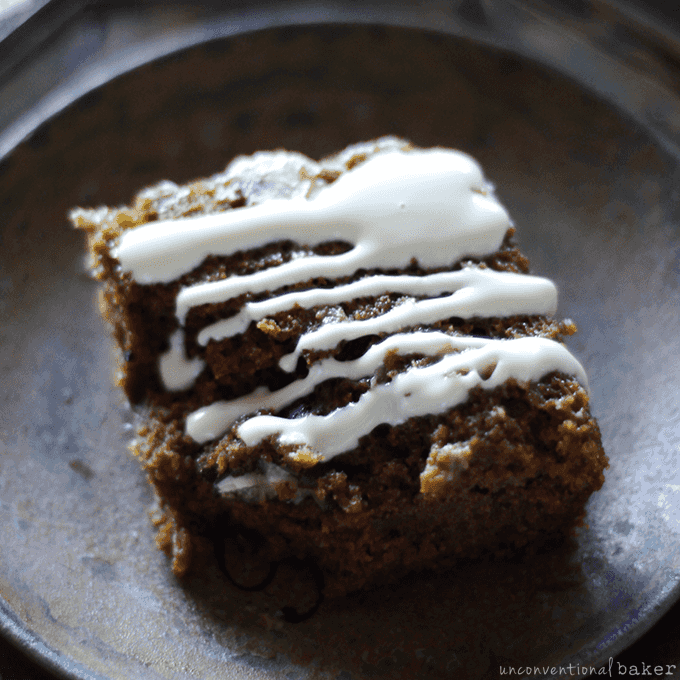 I love a warm delicious pumpkin cake and this one just really takes the cake! (get it? ;) Seriously though, I am always blown away by your baking skills. Pinned this one so I can make it soon! Can’t wait! 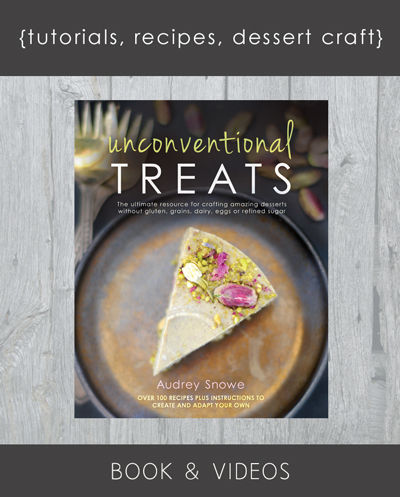 You sound like me Audrey and your obsession with trialing until you are IN LOVE with a baked good result! 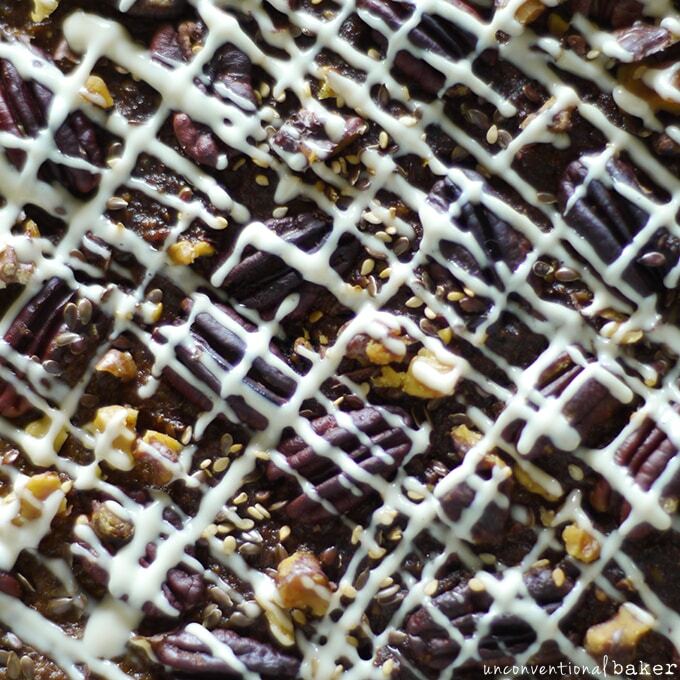 I love, love that you did pecans. That is my favorite nut. I made a pecan flour based chocolate fudge cake last year. I briefly mentioned it on Facebook and then totally forgot about it and never posted it because I totally forgot about it until reading your post, LOL! That’s the problem isn’t it? We make so many recipes and so many trials and move on to the next before perfecting one…or at least I do that WAY too often. Thanks for the reminder to get back to it, haha. SO, this cake looks SO gorgeous. Love the drizzle on top and I died laughing at your “pretty gross” comment because I’ve been there so many times where I’m repulsed by something that I was excited to try, only for it to make me barf! That was how it was for me with all my stevia experimenting….just ugh. Thank God for preserverance because I finally found a solution, just like you did! Holy Moley this looks SO yummy, Audrey! 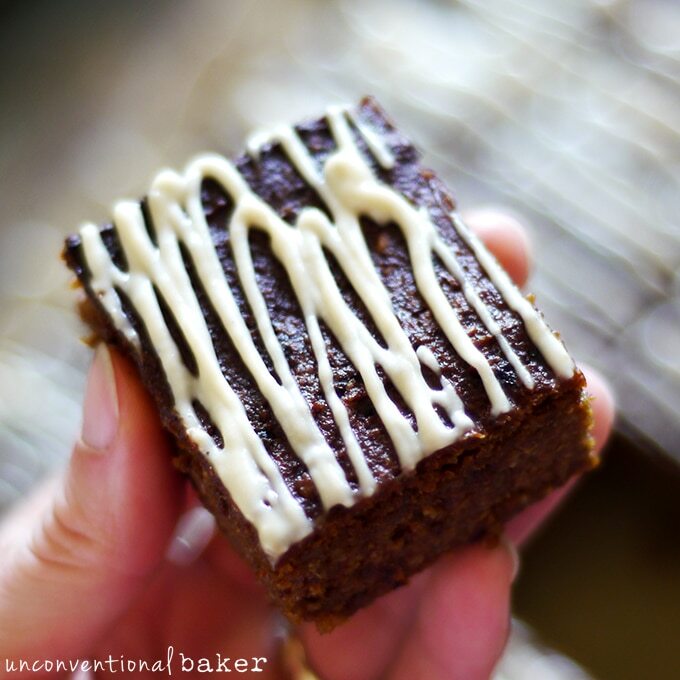 I am such a sucker for anything pumpkin and that cashew cream cheese frosting? SWOON! Love all the effort you put in to perfecting this. Can’t wait to try it!!! Oh, you made me laugh, Alison :) Thank you! Funny you’re into cloves. I thought I had a high tolerance level, but they were all I could taste in this. Hi there! 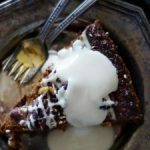 I’m expecting my first baby in a few weeks and want to make myself a Groaning Cake (http://nourishingjoy.com/nourishing-foods-for-labor-and-childbirth/#groaning-cake) however I avoid gluten, dairy, and eggs. 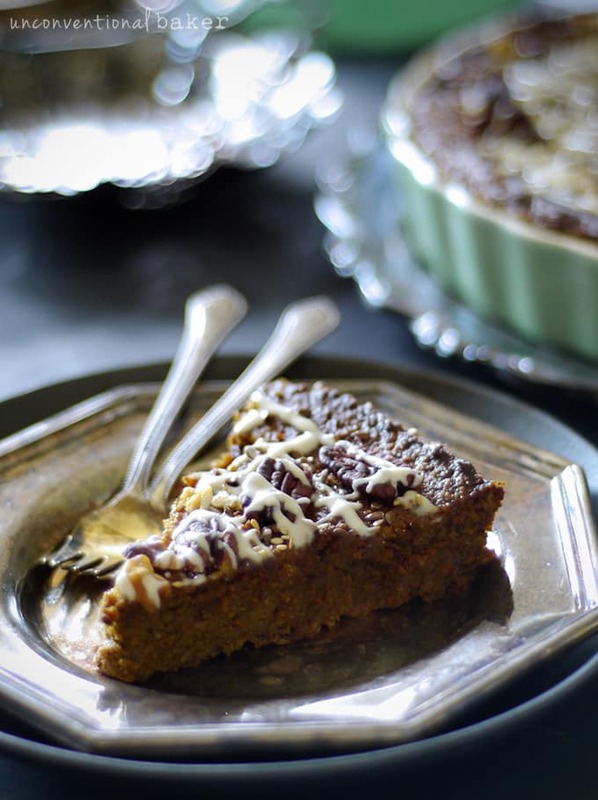 This recipe looks like it could fit the bill very nicely and is similar to traditional Groaning Cake with the nuts, dates, and pumpkin. I can’t wait to try it! I’m wondering whether you know if it would be good frozen for awhile, and if so, how long do you think? (I’m thinking it might be easier for me to make ahead of time and freeze rather than during labor since I don’t know how long I’ll be in early labor for!) Thank you so much! Can’t wait!! That is the sweetest comment ever, Emily! I’m so happy you liked the cake and your mom is awesome :) Congratulations!! 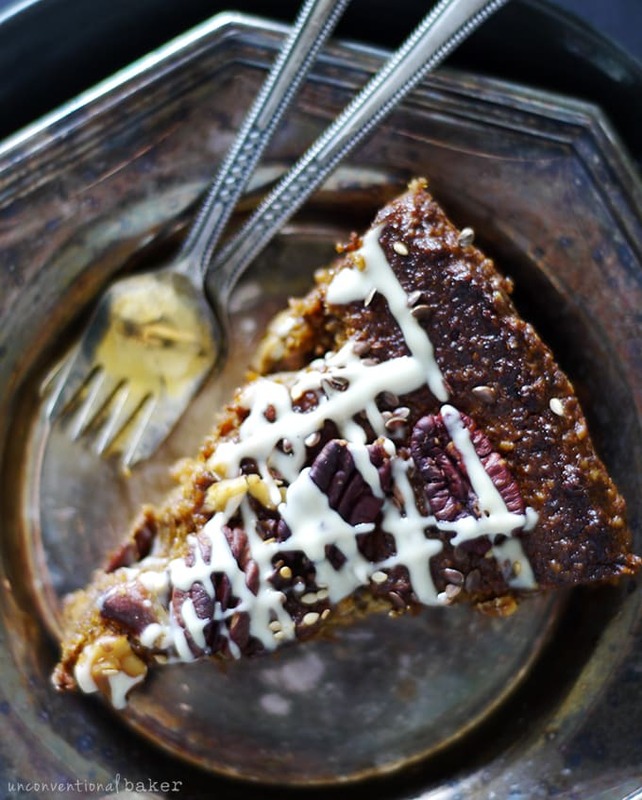 I think I will eat pretty much anything as long as it has pumpkin in, so I scrolled down this page with my mouth hanging open in amazement! All those close up photos are dangerously yummy! I cant wait to try this! I must have used too small of a pan bc mine was full up and a little undercooked due to top spilling over and browning up. BUT even with my screw up, it tasted awesome and my husband LOVED it. Like said “this is so good” several times while eating it. Yay! Aw, thank you so much, Julie. I’m so happy your husband loved it :) Too bad about the pan, but at least on the plus side this recipe is full of stuff you can eat raw anyhow, so undercooked isn’t so bad. Curious what size/kind of pan you used though? I love pumpkin and this cake (these cakes) looks amazing Audrey, but I expect nothing short of wonder from you. I can’t wait for pumpkin season. 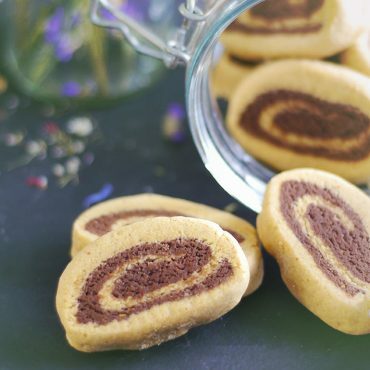 Extremely awesome recipe. It is a process isn’t it! You came up with a winner and I can not wait to try out the frosting also.